As 33 tornadoes whipped through northeastern Illinois in April 1996, Tom Pierson of Precision Roofing held his breath. The roof on Shiloh House was less than a year old. In the small town of Zion alone, $3 million in damage was reported, but fortunately, the roof on Shiloh House was spared. 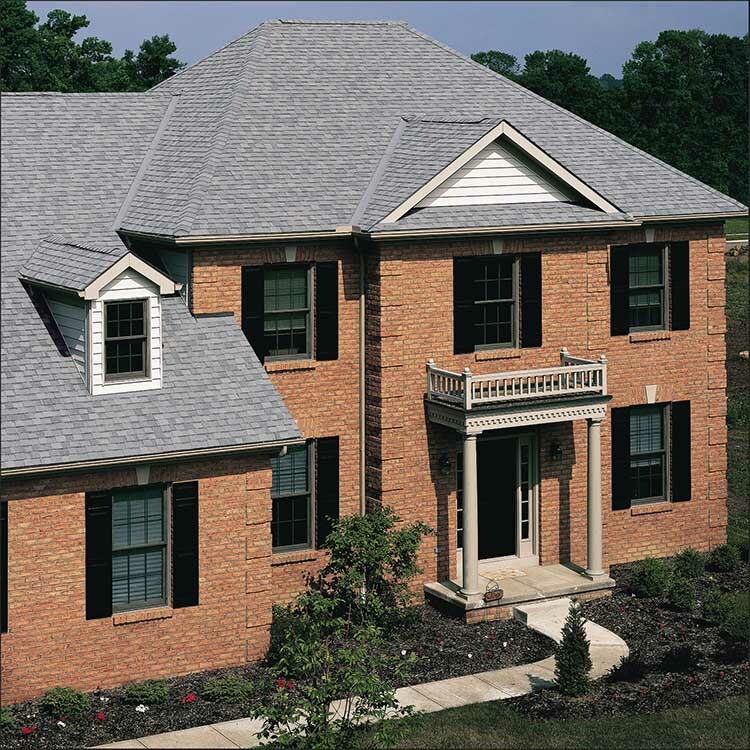 A year prior in 1995, Precision Roofing was contracted to redo the entire roof. 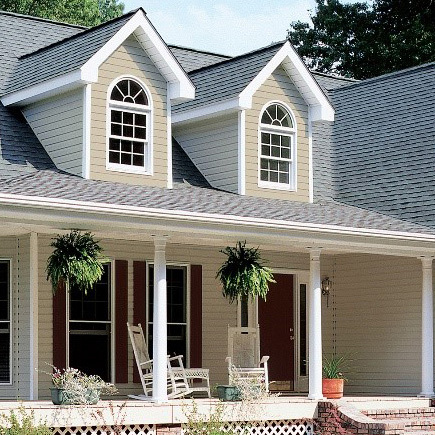 The front and east deck were roofed with 25 squares of CertainTeed Carriage House® shingle in Sherwood Forest. 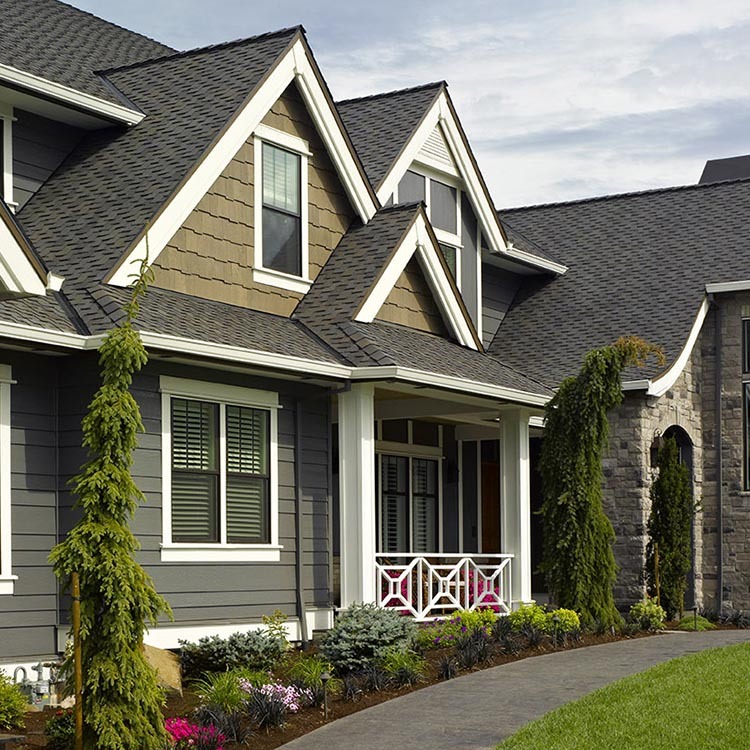 Carriage House was chosen because it has chamfered edges and deep shadow lines, which replicate the look of the original roof. Pierson also used Carriage House to recreate the original design on the roof. 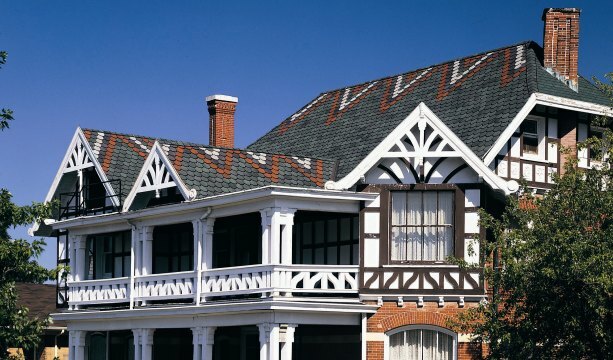 The roofers cut three different colors - Black Pearl, Georgian Brick, and Heirloom Silver into individual tabs and overlaid the design.